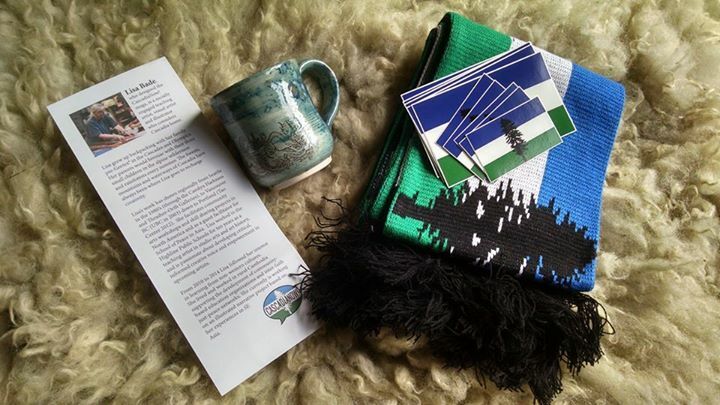 Rewild Portland Silent Auction — CascadiaNow! Rewild Portland is a 501(c)(3) non-profit creating cultural and environmental resilience through the education of earth-based arts, traditions and technologies. On April 28th they hosted a fundraising event to raise money for another year of programs for Rewild Portland. The event started with a talk by Tao Orion, author of Beyond the War on Invasive Species: A Permaculture Approach to Ecosystem Restoration and teacher at Oregon State University and at Aprovecho, a 40-acre nonprofit sustainable-living educational organization. The talk focused on alternative uses of invasive species. Following this talk, a silent auction occurred! The items included things like massages, art, wellness items, and movie passes, as well as several items donated by CascadiaNow!. We are very proud to have been a part of raising money for Rewild Portland, and supporting them for another year of programs and classes. basket weaving, stone tool making, and felt making. Older PostCascadia Convergence Location Announced!